Leo IV was Byzantine Emperor from 775 to 780 AD. He was born to Emperor Constantine V and Empress Tzitzak in 750. He was elevated to caesar the next year, in 751. 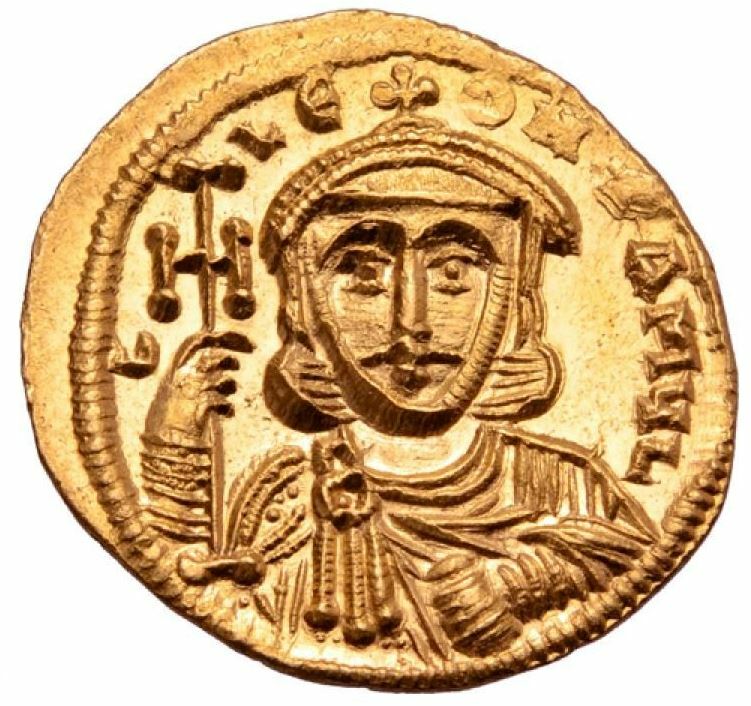 When Constantine V died in September 775, while campaigning against the Bulgarians, Leo IV became senior emperor on 14 September 775. Leo was by this point suffering from tuberculosis, which, combined with the infancy of his son, Constantine VI, gave two of Leo's half-brothers, the caesares Nikephoros and Christopher, hope of attaining the throne. These hopes were crushed when, in 776, Leo elevated Constantine to caesar, declaring him to be his successor. Shortly after this, Nikephoros and Christopher were discovered conspiring against Leo. Despite public opinion supporting the execution of both of them, Leo instead chose to pardon them, although he did exile several other plotters to Cherson. Leo died of a violent fever, due his tuberculosis, on 8 September 780. He was succeeded by his son Constantine, with Leo's wife Irene as his regent.